Just months before he was the third-overall pick in the OHL Priority Selection, and following a season in which he averaged a point a game, Alex Pietrangelo helped the Toronto Jr. Canadiens to their first-ever appearance at the National Midget Championship, scoring once and adding two assists – as well as scoring a goal during the bronze medal game shootout, the only shootout in TELUS Cup history – as the Jr. Canadiens finished fourth in Charlottetown, P.E.I. The fourth-overall selection, by St. Louis, in the 2008 NHL Entry Draft, Pietrangelo returned to the OHL after starting the season with the Blues in both 2008 and 2009, twice helping Canada reach the gold medal game at the IIHF World Junior Championship, winning gold at the 2009 world juniors in Ottawa. 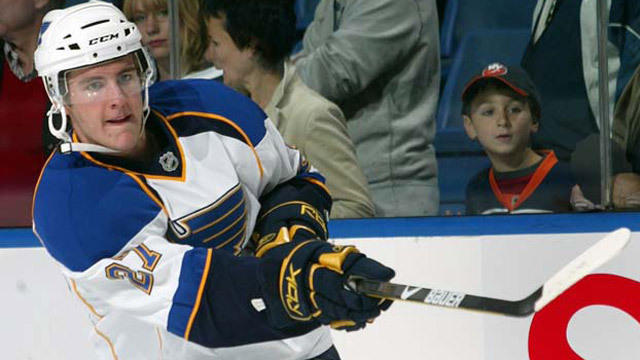 Joining St. Louis full time for the 2010-11 season, Pietrangelo has blossomed into one of the NHL’s top young blue-liners, finishing fifth in scoring among defencemen in 2011-12 while earning a spot on the NHL Second All-Star Team. After an 11-year absence, Ryane Clowe helped St. John’s return to the Air Canada Cup in 2000 for the first time since the city hosted the National Midget Championship in 1989. Unfortunately for Clowe, the Maple Leafs finished without a win in Montreal, missing out on the semifinals and becoming the eighth consecutive Atlantic Region representative to fail to qualify for the final four. Clowe moved on to the QMJHL, playing three seasons with Rimouski and Montreal, and was a sixth-round pick, 175th overall, of the San Jose Sharks in the 2001 NHL Entry Draft. 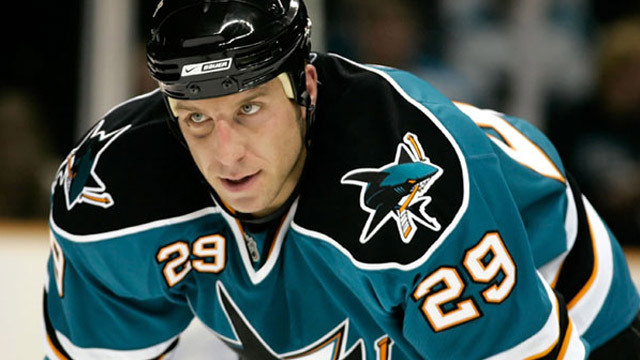 After spending two full seasons with the Sharks’ AHL affiliate in Cleveland, where he was named the Barons’ MVP in 2004-05, Clowe debuted for San Jose in 2005-06 and earned a spot as a full-time NHLer the following year, helping the Sharks reach a pair of Western Conference finals, in 2010 and 2011. The leading scorer in the AMHL as a 16-year-old in 1999-2000, with 73 points in 34 games, Joffrey Lupul led the Fort Saskatchewan Rangers to league and regional championships and the city’s only appearance ever at the National Midget Championship, at the 2000 tournament in Montreal. The Rangers were one of three teams to finish the preliminary round at 4-1, but came out on the wrong end of a 4-1 decision to host Montréal-Bourassa in the semifinals before falling 6-5 to Saskatoon in the bronze medal game. 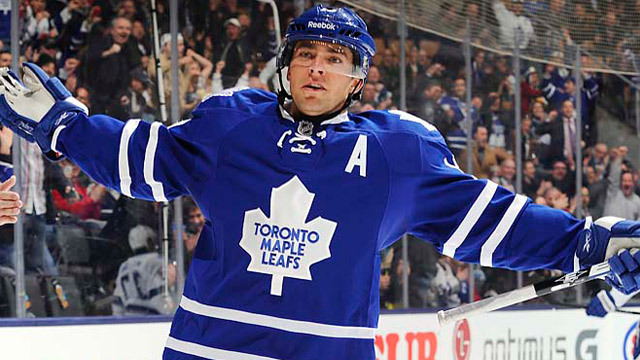 Lupul was selected by Anaheim with the seventh pick in the 2002 NHL Entry Draft. He joined the Mighty Ducks for the 2003-04 season, eventually spending two seasons in Southern California, bookending the 2004-05 lockout, highlighted by a four-goal playoff performance in 2006. Lupul has twice been traded as part of a package for Chris Pronger, going from Anaheim to Edmonton in 2006 and from Philadelphia to Anaheim in 2009. He is currently in his third season with Toronto, having been selected to his first NHL All-Star Game in 2012. A 16-year-old Manny Fernandez shared the goaltending duties with Patrick Laferriere during the 1990-91 season as the Lions du Lac St-Louis rolled to a league-leading 30-10-2 regular season record in the LHMAAAQ and won seven of eight playoff contests to reach the Air Canada Cup. After posting a perfect 5-0 preliminary round record in Calgary, the Lions were upset by Sherwood Park in the semifinals before rebounding to take home the bronze medal. The 52nd overall pick by Quebec in the 1992 NHL Entry Draft, Fernandez was traded to Dallas two years later, making his NHL debut during the 1994-95 season. He spent parts of five seasons with the Stars before moving on to Minnesota, where he played five years and helped the Wild reach the Western Conference Final in 2003. 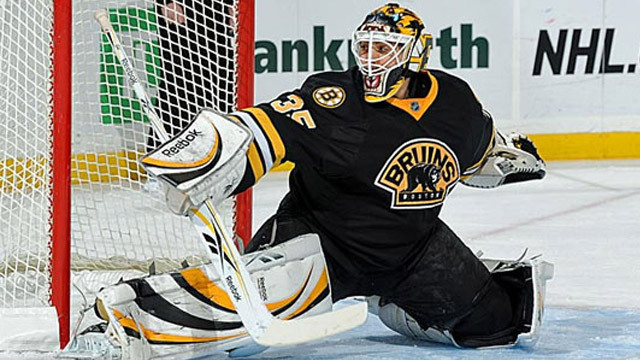 A two-time winner of the William M. Jennings Trophy, presented to the team with the fewest goals allowed, Fernandez finished his career with two seasons in Boston, retiring after the 2008-09 campaign. Chris Mason was one of the stars of the Red Deer Chiefs at the 1994 Air Canada Cup in Brandon, Man., leading Red Deer to a 4-1 preliminary round record (the only loss was to fellow future NHLer Daniel Briere and Gatineau), earning Top Goaltender honours and eventually a berth in the gold medal game, although the dream of a national title ended with a double-overtime loss to Regina. A fifth-round pick of New Jersey in the 1995 NHL Entry Draft, Mason spent three years with the WHL’s Prince George Cougars before bouncing around the minors for six seasons, with a few games of NHL experience in Nashville in 1998-99 and 2000-01. 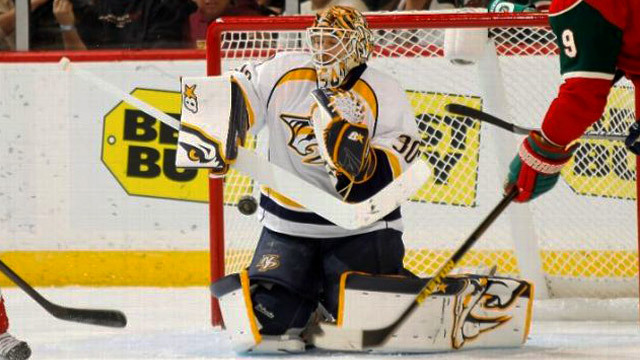 He stuck in the NHL for good with the Predators in 2003-04, and after winning a Norwegian championship with Vålerenga during the 2004-05 lockout, made additional stops in St. Louis, Atlanta and Winnipeg before returning to Nashville for the 2012-13 season.